It’s been very long since my last post. Today I bring you this very creative decor for cupcakes. 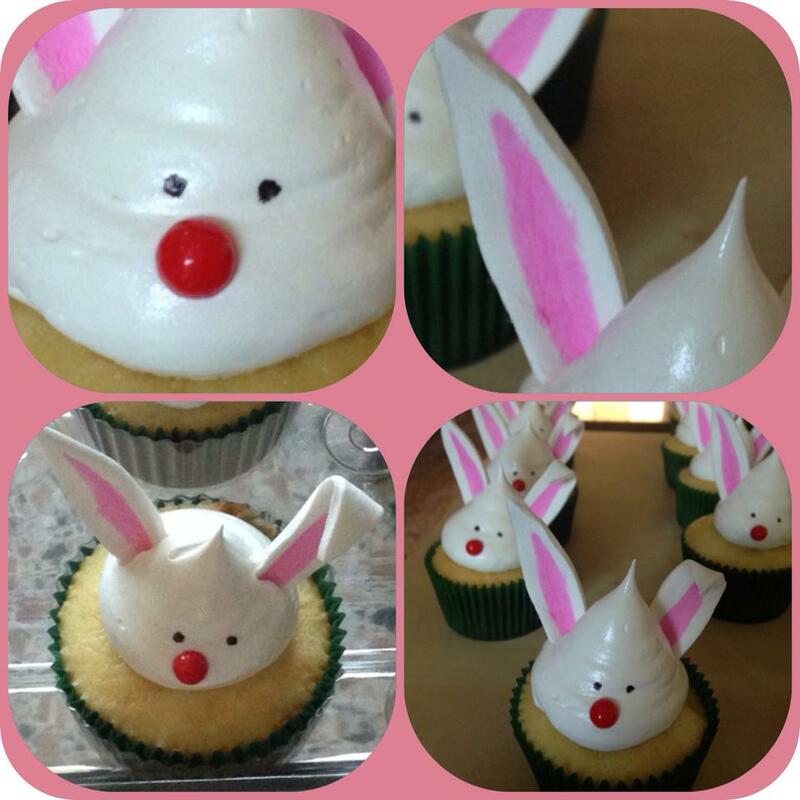 These sweet looking little bunnies are the perfect mate for any spring special occasion, from children birthday parties to Easter get togethers. *If you don’t have one a sharp knife will do. **You can also use a Ziplock bag and cut the end. Take the fondant and neat it with your hands. To avoid sticking, use some corn starch if needed. Once soft. roll using a rolling pin until 1/4 – 1/8 cm thick. Use the leaf cutter to cut the little ears. This can be done using a sharp knife. Let them dry completely before painting. To paint the ears a cute pink color on the inside, mix some of the pink food color with a tiny bit of vodka. Use just enough to make it the right consistency. 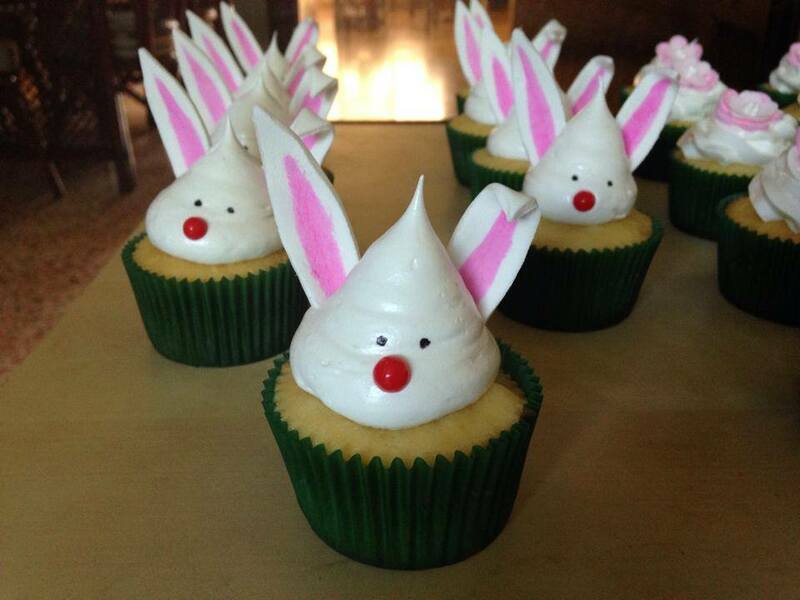 With the paint brush, trace and fill the inside of our bunny ears. Let it dry completely. Fill the piping bag / Ziploc bag with the merengue. Place the tip of the bag in a 90 degree angle on top of the cupcake and about a 1cm away. Squeeze the bag until you get a cute lump of merengue. Stop squeezing and pull up. This will be our head. Once all the steps are done the last thing we need to do its put it all together! Take your dried ears and put one at each side of the bunny’s head. Be creative and dress your bunny’s face however you fancy. Here I used a sugar nonpareille as nose and drew two small dots as the eyes. I hope this is useful and you try them at home. If you dare share your creations with me, it would make my day!